We believe in building a Worldwide Community of like-minded individuals. We believe in partnering with the best-in-class to deliver outstanding curricular experiences and extend the learning beyond the realm of our expertise. Below is a list of our exclusive agreements and partnerships to deliver the best learning experience. We have entered into an agreement with Macmillan Education Iberia, licensees of The Garden Project in Spain, to plant the seeds for a more sustainable future. Macmillan Education Iberia, is one of the leading companies in the educational content sector, producing material in both print and digital formats. It belongs to one of the largest and most widely recognized international publishing groups, Springer Nature. 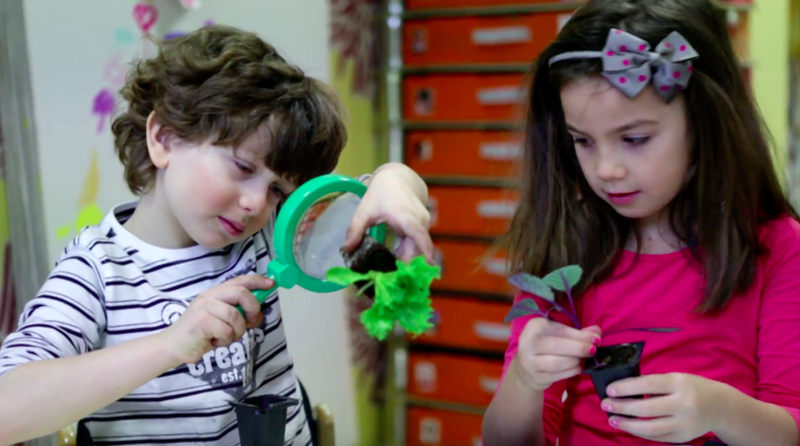 The Garden Project is the first complete Project Based Learning programme to apply a STEAM Framework and teach for sustainability, starting from age 3! Macmillan Education Iberia supports its successful local implementation by delivering localized solutions for the Spanish market. In addition to taking children on a musical journey, we have adopted Aspara Gus or “Gus”, the lead character of The Vegetable Plot, as The Garden Project mascot. He introduces key concepts and ties the learning together by giving suggestions and tips on healthy eating.